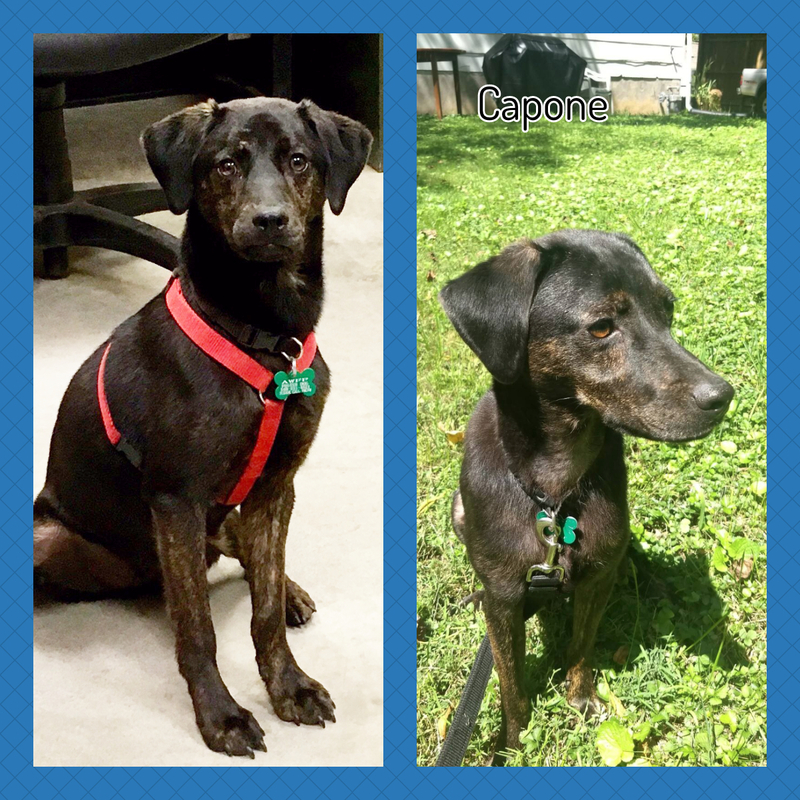 Capone, aka "Capi" is a playful, always ready to go 1.5 year old-perfect size pup (33 pounds) still looking for his forever home. He is a big fan of hiking and walks, but because of his escape artist tendencies, it is important he always remains on leash. 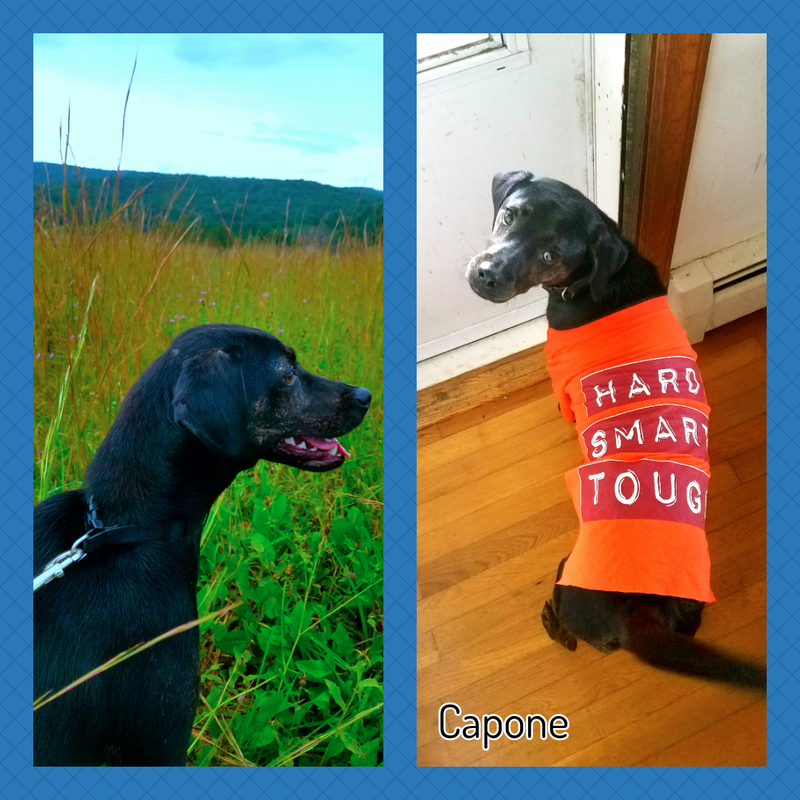 That being said, Capone has come a very long way! He is fully crate trained and on his way to become fully house trained. In a very short time he has learned all the basic commands and he works really hard for his treats. He loves helping his foster mom in the garden and sun bathing is particularly exciting for him. Capi gets along really well with other dogs, but will do best in a home that can keep working on his training with a regular schedule and we are sure he will be anyone's perfect companion. 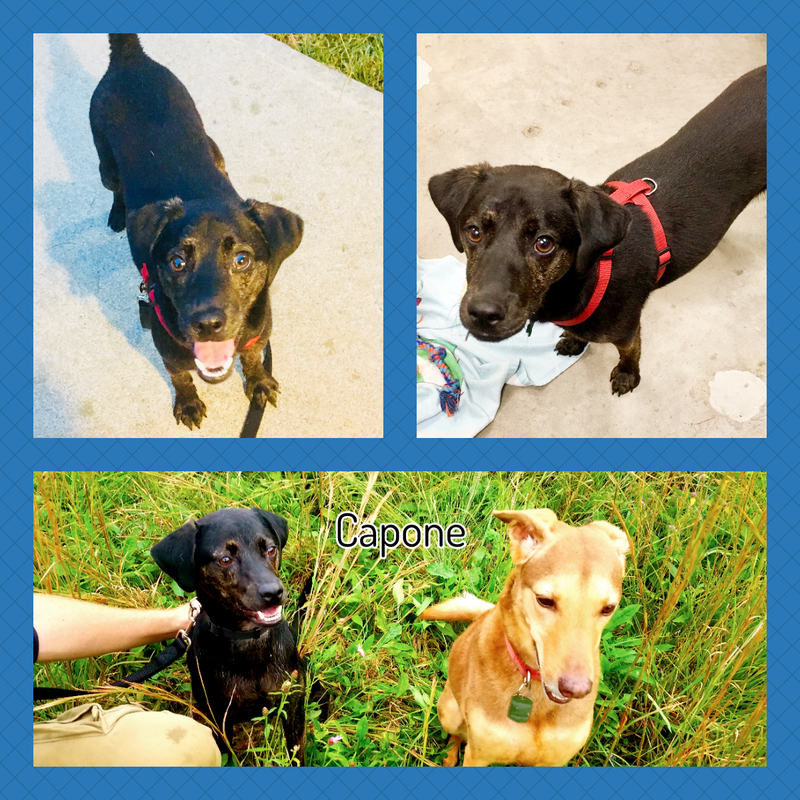 Capone has been a relatively healthy pup since being in our program. He is missing some hair on the inside of his legs which is currently being treated and he has a small dark spot on his eye that his veterinarian believes to be benign and is not causing him any issues. 07/08/18 Hello! 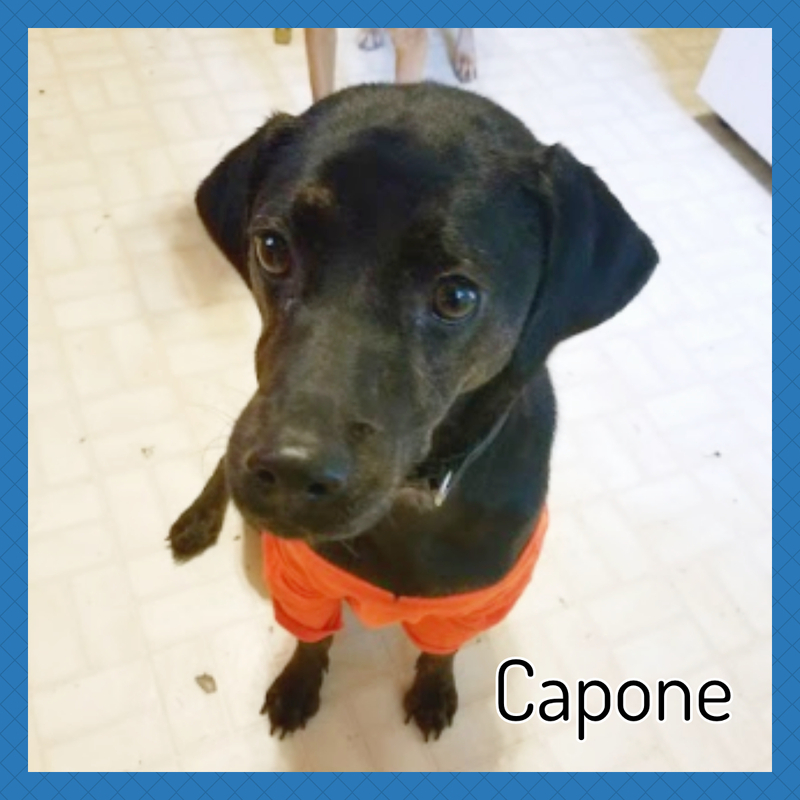 My name is Capone but don't let my name fool you! The only thing "criminal" about me is that I don't have a forever home yet! I am a very sweet 9-12 month old boy who has had a tough start to life. I lived on the streets until some nice people found me and brought me to a shelter. I was a very good boy there but was frightened by all the noises! Now, I am in a foster home, and my personality is really coming out! I am comfortable in my crate, and even slept through entire first night without crying or an accident! I have 3 foster siblings and love to play with them. I am working on my manners both on and off leash - the leash is a little scary for me, so I can be a little spazzy, but I am working really hard on building up my confidence! My foster moms think I am a very smart boy and will learn quickly, especially since I have my foster siblings to learn from. Even though I was a stray for the first part of my life, I really like people! I am a little timid at first but warm up very quickly and already am giving my foster moms kisses and asking to be petted (after one day!) I am neutered, up-to-date on my vaccines, have been dewormed, am on monthly heartworm and flea/tick preventative, weigh about 30lbs, and am believed to be a labrador/beagle mix. Could you be my forever home? I hope so! Email the kind people at awfpadoptions@gmail.com for more info on how to adopt me!